The Lacrosse season begins soon – in April – and you’d better get moving if you want to be prepared for the season ahead. Any good athlete knows that your performance during the season is affected by your off-season preparation. Prepare now, and stay ahead of the competition. It’s no surprise that having a powerful athletic base – your legs – will greatly affect your Lacrosse game. In the off-season and building up before the season begins, start working on weight drills that focus on strengthening the legs. Squats are one of the most basic weight exercises, and still one of the most effective. 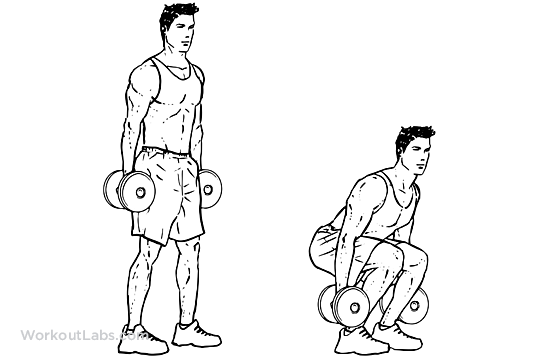 Try a series of dumbbell squats to keep legs strong and your core tight. Start with no more than 10-pound weights until you feel comfortable, and make sure you are keeping your back straight and your athletic stance strong. Ask for assistance from a coach or trainer to make sure you are using the best squat position to avoid injury. Another great weight drill for leg strength is the always-classic lunge. Hold dumbbells in each hand and repeat walking-lunges, or keep one leg stationary on a weight bench and focus on one leg at a time. 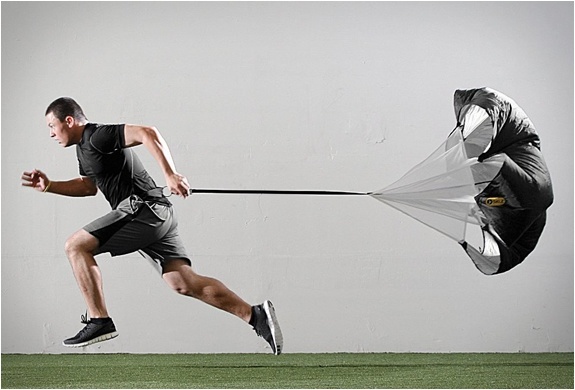 Keeping up with the physical demands of the Lacrosse season needs a high amount of endurance, not to mention speed and agility. Did you know that Lacrosse athletes can run up to three miles each game? Bet 'cha didn't know you were a runner, did ya? Holding a strong pace for three miles takes a bit of running prep – so get going with your running drills in the off-season. Work on agility with jumping drills, lateral running drills and resistance drills. Grab a workout partner and switch between running and squat workouts with a resistance band around your waists. Work on sprints and sideways movements. Plus, keep your endurance up by throwing in a long-distance run a few times a week. If you’re a Lacrosse player, you know the game isn’t as easy as it can look. The precision it takes to catch the ball and pass with your stick takes more than a little practice. Wall ball drills are great for prepping for the upcoming season. Spend several minutes a few times a week practicing wall ball drills. Switch from right hand to left hand, and work on continuous moves without breaking your pace. Get your throw and cradle down, drill as quick and you can with your stick, and switch in between a right-throw to left-catch and vice versa. Before your body starts getting a beating from the on-season, perfect your stretching and recovery skills. It may not sound like an actual drill – but until you properly learn how to stretch and recover your muscles, you won’t be able to get the most out of your workouts or the best performance out of yourself. Pick up a foam roller, some resistance bands, and some kind of ball (like a tennis or lacrosse ball) to help massage out your muscles. 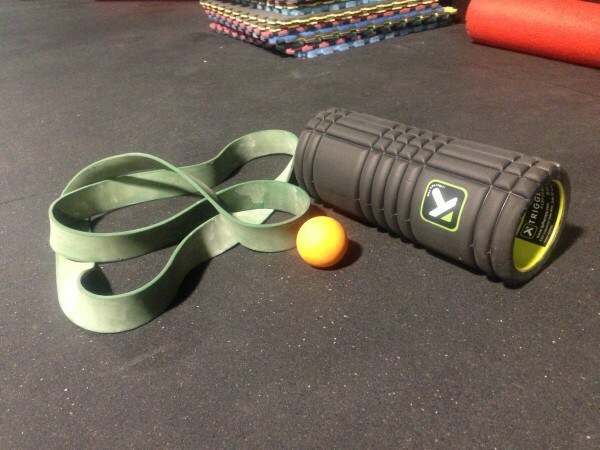 Practice rolling out on the foam roller or ball and focus on the quads, calves and hamstrings. Use stretch resistance bands to get a deep stretch in your limbs or to give the extra inch needed to join your hands behind your back and stretch out your arms or chest area. Train yourself to end your workouts with a relaxing stretch and recovery session, and to take time to heal your sore muscles. The greater the recovery, the greater the next performance will be. With only a few months to go before the season is in full swing, it is crazy important to get your body ready for Lacrosse. Build up your endurance and strength with weight training and running drills, stay light on your feet with agility training, and learn how to treat your muscles properly with recovery and stretching drills. Even if you can’t commit to an every-day routine, doing something is better than nothing to prep for the Lacrosse season.